Go to Bendy and the Ink Machine and complete the tasks that separate you from the end of the passage. The map refers to the horror genre but it's not so scary, more like FNAF or other creepy games. The story line differs from what was in the game itself, but it will not be difficult for you to understand thanks to the signs and notes for each chapter. The map contains a small addon and texture pack that will be installed all together. 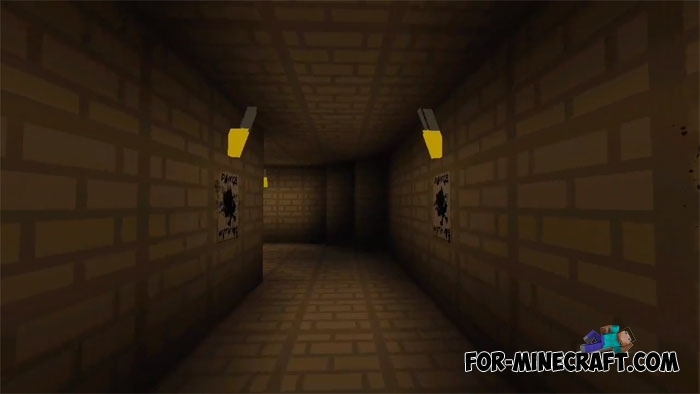 Pocket Nightmare: The Horror Attraction (FNAF 3) map [MCPE 0.13.0]The Horror Attraction - one of the creations of the popular map series, inspired by the «Five Nights at Freddy's».